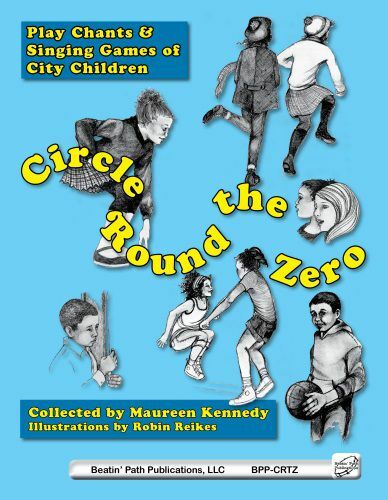 Circle 'Round the Zero by Maureen Kennedy This classic collection from Maureen Kennedy was first published in 1974. This brand new edition has been revised and edited to present classic children's songs, games, jump rope chants, and clapping games. These pieces come directly from children on the playground. Maureen has researched and collected all of these wonderful activities both as a historian and as a music educator. She has preserved them in the written notation exactly as she heard the children play them.